Viola Irene Gordish Mrasz Kennedy (Vi), 88, of Vandergrift, passed on December 2, 2018 with her family by her side. She was born June 19, 1930, in Edri, PA, to Michael (Irene Toth) Gordish later, moving to Iselin, PA. Viola graduated from Elders Ridge High School, where she was the Queen of “The Sweethearts Ball.” She loved her children and grandchildren. Vi was an epicurean, who loved cooking for her family. She had an extensive knowledge from her beloved cookbook collection. 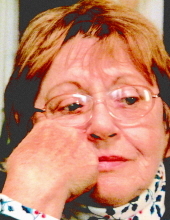 Vi was a gourmand; as well as, an avid reader, who loved crossword puzzles. She is survived by her children; Michael (Debbie) Mrasz, of Vandergrift, Andrew Mrasz of Shadyside, Judith Mrasz of Vandergrift, Amy Bufalini Makowski of Vandergrift, Eric Mrasz of Apollo, five grandchildren; Jesse Jon Salensky, of Mamont, Heidi (Robert) Baich of North Versailles, Moe (Eric Montanez) Bufalini of Pittsburgh, John Mrasz of Orchard Hills, Alexis (David) Martin of Spring Church, Palu the Dog of Vandergrift Heights, four step-grandchildren; Heather Scott, Gretchen Scott, Justin (Kellie) Akins, Taylor (Dave Glabb) Akins, and five Great-Grandchildren. In addition to her parents, she is preceded in death by, her husband; Robert B. Kennedy of Vandergrift, a sister; Irene (Larry) Flowers, of Cadogan, an infant sister, a daughter-in-law Mary Mrasz of Vandergrift, and her beloved son-in-law Vinnie Makowski, of Vandergrift. Viola was one of the most unique and prolific characters to ever walk the stage of life. Most knew this icon as “Vi.” Though she didn’t often roam far from her native Western Pennsylvania, she created innumerable adventures and impacted the lives of so many. She was known and loved by all she encountered and always speaking straight, with Magyar Wisdom. Viola was a strong woman that separated from the everyday normal societal constraints, throughout several decades. A true Matriarch, to family and friends; as well as, strangers, Viola cared. Her epic poem was her business, VI’s Bar at 127 Grant Avenue, where she was benevolent to all who entered. It was an historic fixture of over 30 years in downtown Vandergrift, PA. Viola was the Cowboy and the Indian. She was a gypsy shaman. She was the feeling of comfort, in a home. She was a Mother, a Grand Mother, Great Grandmother, Cook, Respected Business Owner, and Saint. Viola was larger than life itself, a legend. Her tales will remain, and travel. Vi will forever be. Family and Friends will be received on Saturday, December 8, 2018 from 2:00 pm to 7:00 pm and on Sunday, December 9, 2018 from 11:00 pm to 12:00 pm with a service at 12:00 pm at The Janette L. Gamble Funeral Home Inc. 2842 River Road Vandergrift, Pa (724) 567-7006. Online condolences may be made at Gamblefh.com. To send flowers or a remembrance gift to the family of Viola Gordish Mrasz Kennedy, please visit our Tribute Store. Family and Friends will be received on Saturday, December 8, 2018 from 2:00 pm to 7:00 pm at The Janette L. Gamble Funeral Home Inc. 2842 River Road Vandergrift, Pa (724) 567-7006. Family and Friends will be received for a service on Sunday, December 9, 2018 at 12:00 pm at The Janette L. Gamble Funeral Home Inc. 2842 River Road Vandergrift, Pa (724) 567-7006. "Email Address" would like to share the life celebration of Viola Gordish Mrasz Kennedy. Click on the "link" to go to share a favorite memory or leave a condolence message for the family.